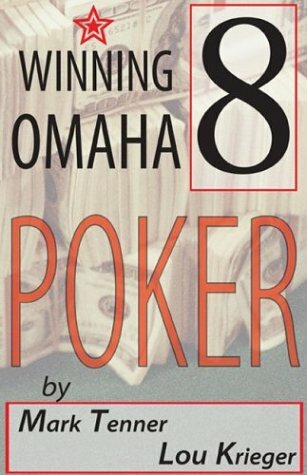 A form of poker that continues to grow in popularity is Omaha eight-or-better high-low split, which is often abbreviated as "Omaha/8" in print. You’ll find an Omaha/8 game in virtually every cardroom--brick and mortar or on the Internet. Yet, Omaha/8 is widely misunderstood. As a result, better players stand to make a significant profit in the game. This book provides a much needed and useful tool for poker players interested in improving their game. All you need to play is a chip and a chair--and this straight from the start guide to the hottest, most popular form of poker around. Ben Affleck plays it, Allision Janney plays it, even Jason Alexander plays it. It's the game as big as all Texas, and the so-called "Cadillac of poker." With shows like Celebrity Poker Showdown winning an avid audience, it seems everyone wants to get dealt in. 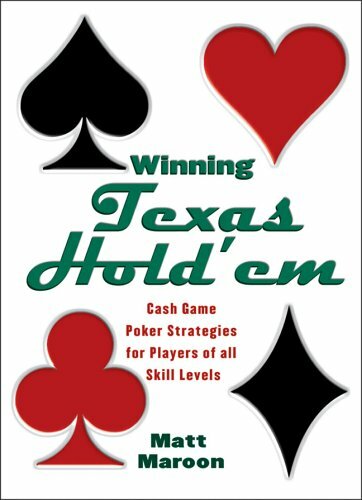 Don't let the fun pass you by, because every rule and trick is explained in this first-ever truly complete guide to success in today's Texas hold'em games. Written by a professional player, it reveals everything you need to know to beat cash games for thousands of dollars. Begin with the most general concepts and move on to pot and implied odds; betting; bluffing and semi-bluffing; deception; flop, turn and river play; and other techniques of the table--including some advanced ones. And, because it's less about the cards you've got in your hand than your ability to psych-out your competitors--there's also plenty of advice on honing that skill, too. Martha Frankel grew up in a warm, loving family of diehard gamblers, where her father’s poker games and her mother’s mah-jongg blended happily with big pots of delicious food and endless gossip. As kids, she and her cousins bet on everything—from which of their Weight Watching mothers would lose the most to who could hold their breath longest underwater or eat the most matzo. But once Frankel left for college and later became a successful entertainment journalist, gambling didn’t factor much into her life. She thought her family legacy had passed her by. 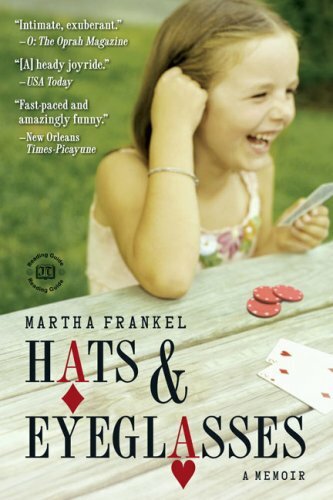 In this “fast-paced and amazingly funny” (The Times- Picayune) memoir, Frankel traces her love affair with poker, an obsession that didn’t hit until her mid-forties. And she was good at poker. Frankel won routinely, whether she was playing in her Wednesday-night poker game or in one of the seedy, out-of-the-way rooms she always managed to find when on assignment. But all this changed when she discovered online poker. It was the beginning of what one of her uncles called “hats and eyeglasses,” a term used to describe those times when you’re losing so bad your ship is sinking until all that’s left on the water’s surface are your hat and eyeglasses. By turns hilarious and heartbreaking, Hats & Eyeglasses is a tale of passion, addiction— and those times in life when we almost lose our shirt.